Have you ever wondered why we make the financial decisions we make, and why we so often get them wrong? When it comes to money, it is always safer to separate it from emotion. However, it’s easier said than done. It is even more important to be rational when making investment decisions. Knowing what irrational behaviour investors most common fall prey to will help you be a better and more rational investor. Chances are, these five types of emotion-led investors will surely, at one point or another, head to investment failure, or at best mediocrity. Herd behaviour refers to the tendency for you to imitate the actions of a larger group of investors. This investing behaviour primarily happens under the rationale that it is unlikely that such a large group could be wrong. This is especially true with novice or budding investors as they tend to be convinced that everyone else knows something that they do not. That is why they tend to herd together in pursuit of a popular investment trend. If you employ a herd-mentality investing behaviour, you tend to constantly buy and sell your investments in pursuit of the latest trends. This frequent buying and selling incurs a substantial amount of transaction costs, which reduces your return. Besides, it is difficult to time your move correctly to ensure that you are entering the investment position right when the trend takes off. By the time you find out about the newest trend, other investors have already taken advantage of this news. The investment’s wealth-maximising potential would most probably already reached its peak. This means that you will be entering into the game too late and are likely to lose money as other investors that have made their money move on to other strategies. One way to overcome this behaviour is to adopt a contrarian approach to investing – to do the opposite of what everyone else is doing. However, even then, always stop yourself before executing any decision, to evaluate the logical reason behind it. If there is none, then you are much better off not doing anything instead. You must never make an investment choice because the majority is doing so, but rather because you understand that the nature of the investment is particularly suitable for you. Just because everyone is jumping on a certain investment, it does not necessarily mean the strategy will suit you too. So, always do your research before following any trend. People are generally unwilling to accept losses. Similarly, some investors are generally disproportionately unhappy about making a loss than they are happy about making a gain of an equal amount. When given the choice of choosing between an investment of a “definite gain” and an “uncertain but larger gain”, most investors tend to choose the former option. This is described as being risk averse. However, when confronted with a “definite loss” versus a “50-50 chance between a larger loss or lose nothing”, the same investors tend to choose the latter option in order to avoid a definite loss. This is called being loss averse. The illustration below shows the choices investors make pertaining to investment gains and losses. This behaviour leads the investors to make more conservative decisions when it comes to their investments and tend to harp on their cash. For example, we know that investing in unit trusts offers a higher reward over a given period than simply stashing cash away. But, loss averse investors think they are being precautious and is able to reduce risk by hoarding cash. They fail to realise that they are taking a different kind of risk, as the value of cash erodes with inflation. The best way to avoid this investing behaviour is to assess risk in a more rational way. Look at the long-term returns of different investments and base your decisions on that. An investor would be more likely to look for information that supports his or her original idea about an investment rather than seek out information that contradicts it. This bias can often result in irrational decision making because one-sided information tends to leave investors with an incomplete picture of the real situation. For example, an investor hears about a lucrative stock and is attracted by its potential returns. 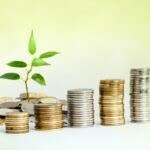 The investor tends to find the green flags about the investment such as growing cash flow or a low debt-equity ratio to prove that it does offer lucrative profits. They ignore the red flags, such as loss of critical customers or dwindling markets that could affect the returns. The danger here is obvious. The investor is not making a balanced decision, but just confirming what they want to believe. Confirmation biases affect our perceptions and subsequent decisions. To overcome this bias, make it a practice to analyse the reasons for and against making any investments. Argue the case by weighing both the pros and cons. By doing so, you can reach a more balanced view of whether it is a suitable investment for you. In the financial world, people tend to be confident with their predictions, yet forecasts of financial related matters, such as market conditions to inflation, more often than not end up being inaccurate. In terms of investing, overconfidence can be detrimental to your investment picking ability in the long run. Overconfident investors tend to believe they are better than others at choosing the best stocks or best times to enter or exit a position, therefore conduct more trades. Unfortunately, investors that conducted the most trades, on average, received significantly lower yields. One of the ways to get around this behaviour is to first accept that we do not know what the future holds. Following that, it is always wise to diversify our investment in various investment portals to spread out the risks since it is impossible to forecast the market conditions at all times. When one or two investments do badly, other investments that do well will offset these losses. Anchoring occurs when you base your decisions on the past, rather than evaluating the information available at the present time. Be it the investment pricing, company earnings or market index levels, you tend to pay a lot of attention to what happened in the past and make your investment decisions solely based on that. For example, a certain share that has traded at an all-time high of RM6.00 but has since fallen by 30% to its current level of RM4.20, an anchoring investors would still put high hope on the stocks. These investors have their perceptions anchored in the past, and may still hope that the share price will return to its high in the future. However, the reality is that it may never. When it comes to avoiding anchoring, be careful about which figures you use to evaluate an investment’s potential. It is important to analyse historical record of an investment, but do not just base your decisions solely on its benchmarks. Evaluate each investment from a variety of perspectives in order to derive the exact picture. For novice investors, it is never a bad idea to seek out others’ perspectives. Does any of the above describe you? If you can relate to any of the above investing behaviour, know that these practices will eventually drag you down. By having a new perspective on money and making rational investment decisions, you will be able to manage your investments better and work your way towards greater opportunity to making money. It is always wise to go back to the basics of investment when it comes to making rational investment decisions. Achieve investment diversification through unit trust, FOREX, local REITs and global REITS, property investment or share trading.